Fabulous Frogger: Quick Crafty Update....before Midnight! So my Monday has gotten away from me! Midnight is creeping up on me and I have every intention on posting my weekend update BEFORE Tuesday hits! I had a WONDERFULLY crafty weekend!! In addition to crafts...hubby and I went plant/flower shopping and have a front and back garden full of flowers...Spring has officially sprung in the Daniels house! Only 4 pages left to go! It looks like a big huge block of light gray...but there are actually 3 colors in there! 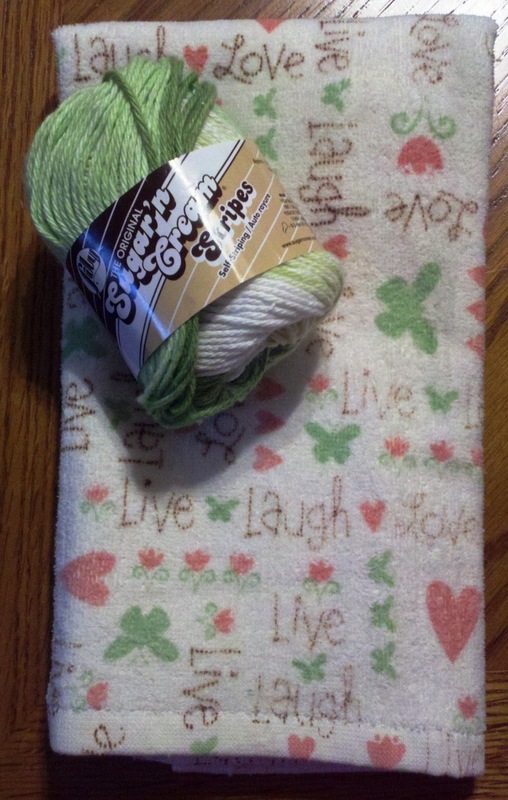 I'm off and running on my third list item! I'm very happy with the outcomes! 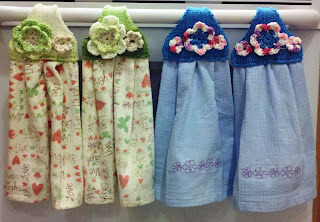 Now I have some cute towel sets to give to my sisters for Easter! That's it! Just a quick update before Tuesday lands on me!! Hope everyone had a wonderful start to the week! Congrats on achieving your goals. Both look gorgeous. Love your easter towels. 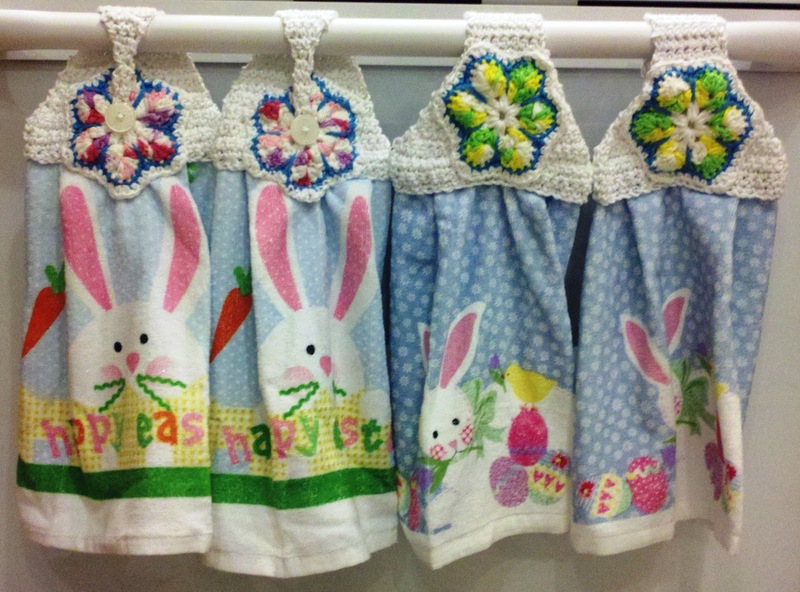 The towel sets are adorable! So perfect! Great progress on Coral too, she is looking stunning. Can you tell me how the grid works on your cross stitch? I think it's absolutely brilliant! 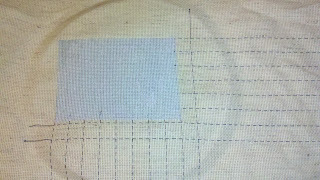 My husband had been trying to figure out how he could come up with a way to stamp the fabric with a grid just like that, something that would wash out when I was done, but obviously this way would work much better. 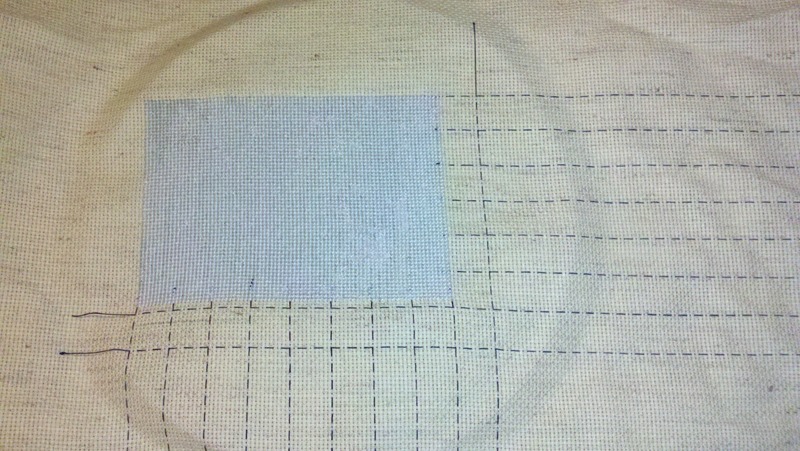 What kind of thread do you use and how many spaces are in between your long stitches? Absolutely beautiful, by the way! I'm anxious to see what the wings design is! Great job on Coral. I have gotten several HAED charts but haven't started them yet. I love the towels too. 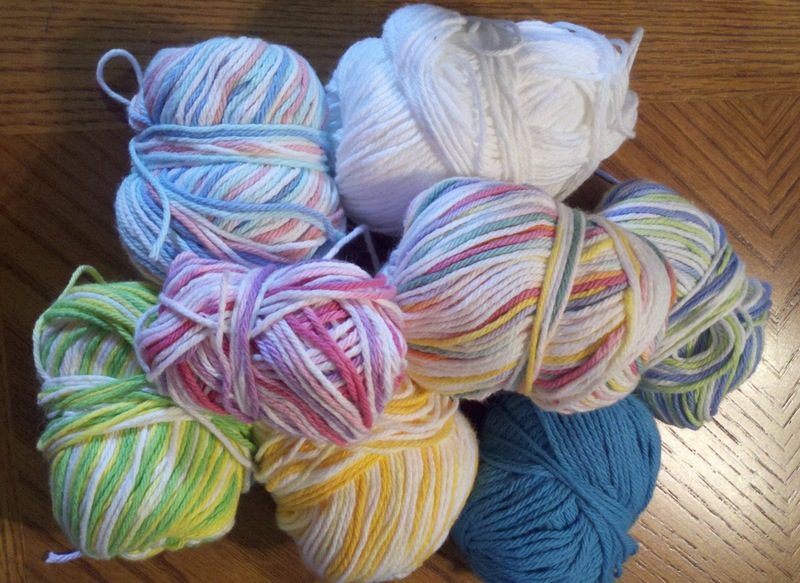 I wish I could crochet or knit! Congrats on getting your pages. I love the towel toppers. Really cute. Well done! The cross stitch and towels both look wonderful! 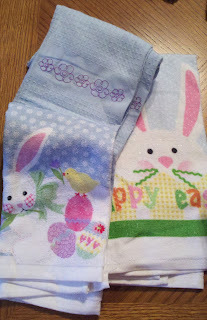 The easter towels look to cute! 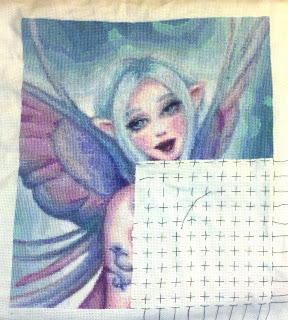 Wow, love your cross stitch progress. 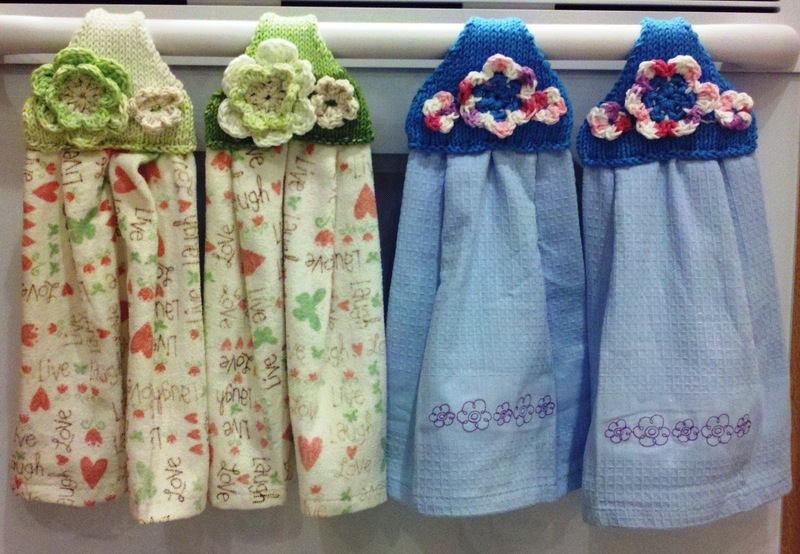 The towels are so cute,hope you are keeping one for yourself. Good luck with the plants you planted,sounds like a busy weekend.